Survey throttling is a powerful online review management feature which helps prevent over-surveying. 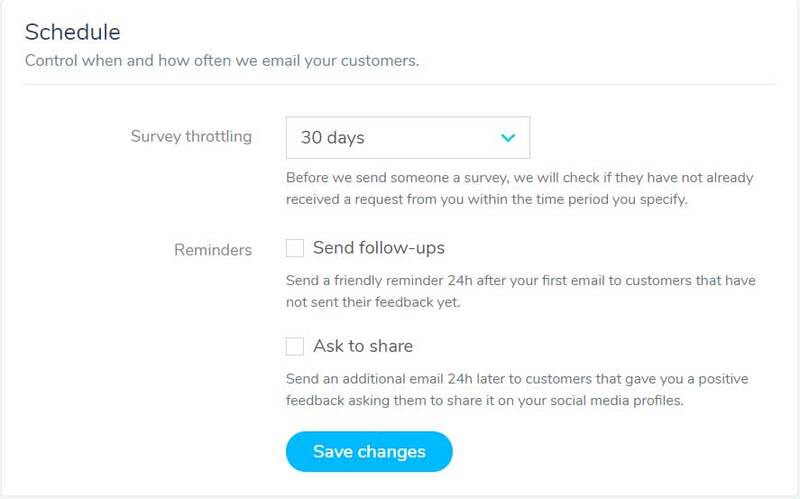 Before a survey is sent, 5StarRocket will check if they have not already received a request from you within the time period you specify. As with all our features, setting up survey throttling is simple. Simple choose the desired period of time in the Survey throttling pull down.